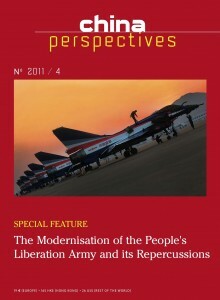 Abstract: The Chinese People’s Liberation Army (PLA) has since the late 1990s been engaged in an ambitious, concerted, and methodical transformation. As a result, the PLA has noticeably improved its capabilities in several specific areas – particularly missile attack, precision-strike, power projection at sea and in the air, and joint operations. In particular, it has made significant advances in exploiting “informatisation” when it comes to developing advanced weaponry, accelerating the pace of military modernisation, and creating new levers of military power for the PLA. While Chinese military power may still pale in comparison to the US armed forces, the strength of the PLA relative to its likely local competitors in the Asia-Pacific region, such as Taiwan and Japan, has grown significantly, and will likely continue to grow over the next ten to 20 years. As a result, China is definitely gaining an edge over other regional militaries in the Asia-Pacific region. Abstract: Japan, Australia, and South Korea, the three closest Asia-Pacific allies of the United States, have all reacted differently to the modernisation of the Chinese People’s Liberation Army, depending on the immediate security situation that each faces. In Japan, which has been most directly affected by PLA Navy operations and other military capabilities, the response has been the most direct: increased investment in maritime and surveillance capabilities while also enhancing cooperation with the US and other like-minded partners in the region. For Canberra, the Chinese threat is still distant, but even down under, the reach and actions of the PLA are raising concerns, leading to plans for augmentation of military forces and a welcoming of permanently deployed US troops. Finally, in South Korea, the DPRK remains the primary threat, though China’s recent unflinching support for Pyongyang has led to discussions about whether or not that decades-old security calculus should be re-evaluated. Abstract: This article argues that the European Union has more interests in the People’s Liberation Army Navy modernisation and maritime security issues in East Asia than has traditionally been recognised. The PRC’s naval modernisation intersects with the EU’s foreign and security policy interests in five main areas: the international Law of the Sea; the risks for Europe of being dragged into an Asian maritime conflict and the safety of European trade with Asian partners; Europe’s competitiveness in international markets for naval military systems; the potential for maritime security cooperation against non-traditional threats; and finally, the arms embargo issue and the question of naval technology transfers to China. Through an assessment of the current PLAN modernisation – and Europe’s significant contribution to this effort – the article argues that European policy towards China doesn’t adequately address these five policy areas. Abstract: Against the backdrop of China’s thriving economic development since the 1980s, the rapid modernisation of the People’s Liberation Army has always been Taiwan’s top national security concern. This article argues that, despite the military threat posed by the Chinese military to Taiwan, China’s changing policy toward the island, combined with the US determination to remain the leading power in the Asia-Pacific region, and the realisation of the complexity of Taiwan politics by the Chinese leadership, have led Taiwanese analysts to perceive the likelihood of conflict as decreasing. This constitutes a major perceptual contrast between long-term threat and short-term stability in cross-Strait relations. Abstract: The political concerns underlying Mo Yan’s creative work come to the fore in his latest novel, Frogs (Wa), which gives the reader an unusual perspective on the complex relations between fiction and politics. This novel harshly criticises a state whose coercive population control policies are responsible for some murderous consequences. This denunciation is also aimed at the economic ultraliberalism that is complicit with the totalitarian inheritance because of its destruction of human dignity through the alienation and commercialisation of the body. The complex symbolic structure of this work brings out the need for life itself to be rehabilitated in accordance with basic human rights and membership in the human community, and to be strongly defended against political attack and moral decay. Far from being an essentialist communitarian ethics, however, the bioethics proposed by the author offers the possibility of social reconstruction of the bios.